My latest column in the Portland Press Herald sprung from a New Yorker article on Bill Buford and Daniel Boulud, where they construct this impossible old-school dish, the chartreuse, and you think it can’t be worth it — or any good — until the usually taciturn Boulud exclaims that the dish is “le vrai goût de la France”. That’s what I think of the wines of André Brunel. 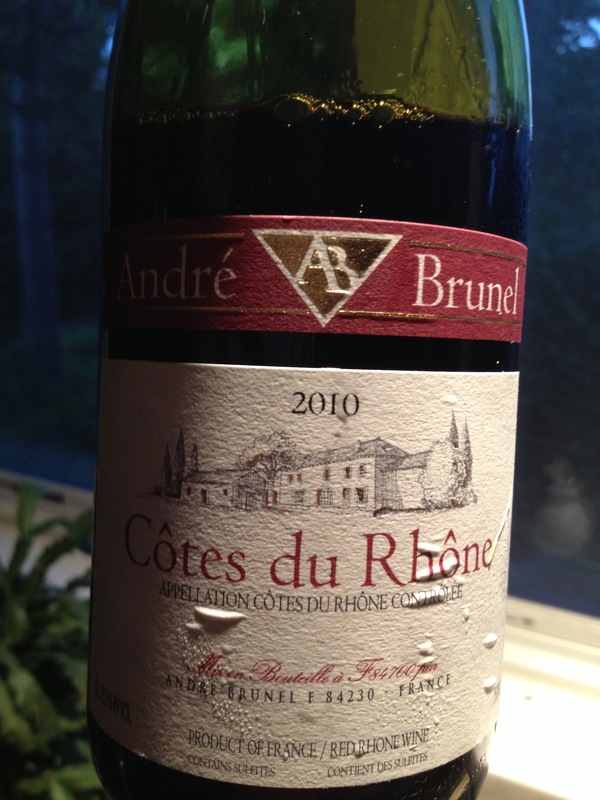 His “ordinary” Côtes du Rhône, a scant $13 retail, is the “true taste of France”. It has that inimitable French quality that makes you feel as you’re drinking it that you never want to drink anything else. It’s bottled unfiltered, from old-vines Grenache, Cinsault and Syrah fermented in concrete tanks. The wine is a conversation among every element of the plant cycle: soil, roots, branches, leaves, fruit. It’s the whole picture, with tannins integrated, both toothsome and silken. Brunel’s Chàteauneuf-du-Pâpe takes that conversation deeper, deeper, deeper. Yes, it costs a whole helluva lot more. It should. But the CdR is where you start. And I love the white, too, the Domaine de la Becassonne. It’s not flabby and stupid, like most southern Rhône whites. It tastes more like an Alsatian Pinot Blanc to me, and that’s a very good thing. The article is worth reading, in my opinion, because in an interview with me Brunel talked fascinatingly about what is happening in this historic region because of global climate change. How do you maintain the “traditions of the ancients”, in Brunel’s words, in a world whose very chemistry is changing? Who’s got a more compelling question than that? You are currently reading The True Taste at soul of wine.